Midway is committed to the communities we serve. True to our mission, we return a percentage of every move to local charities and worthy community projects that are committed to improving the quality of life for people in the Chicago area. As part of our effort to give back, we also take part in community service activities throughout Chicago and surrounding areas. The Glass Slipper Project provides gowns to low-income high school girls so that they can attend their senior proms. The charity hosts “boutiques” across Chicago at which high school students can find stylish dresses, jewelry, and accessories. Founded in 1999, it has since given more than 20,000 young women the opportunity to enjoy a special moment in their lives. The Little City Foundation provides innovative and personalized programs and services to children and adults with autism and other intellectual and developmental disabilities. The community project helps hundreds of Chicago-area kids and adults by giving them the education, skills, and encouragement they need to succeed. 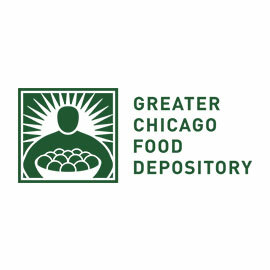 The Greater Chicago Food Depository is a nonprofit food distribution and training center that provides food for hungry people while striving to end hunger in our community.